This very popular Metroplan Eyeline range of wall and ceiling mounted screens are known due to their ease of installation, durability and use. 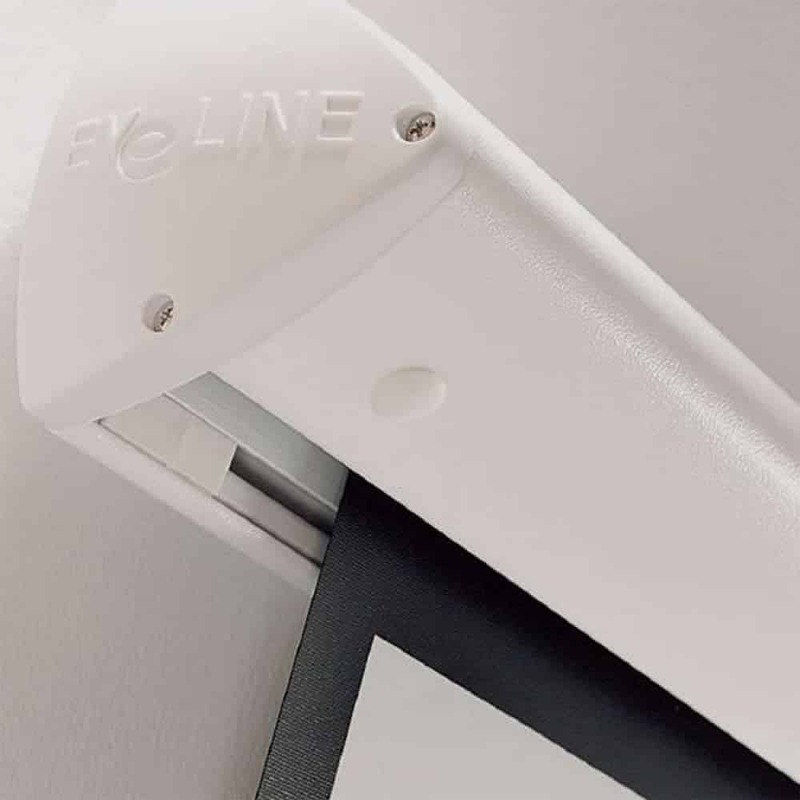 The stylish Eyeline Projection Screens are completely install-friendly with its fixing bracket having a patented ‘click on – click off’ feature. The brackets can be placed at any length along the screen case. 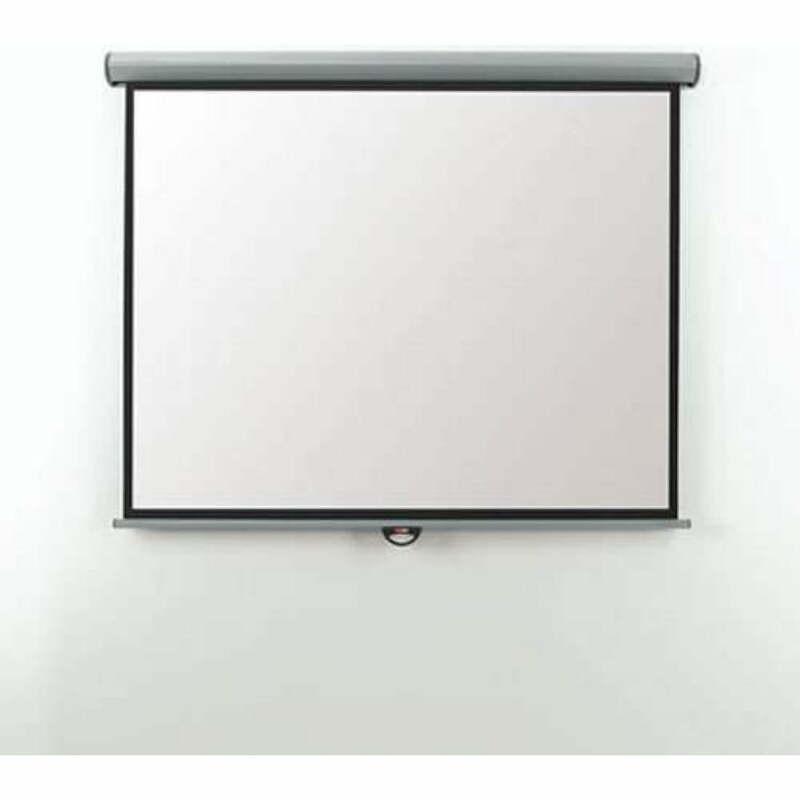 This makes the screen ideal of mounting on studwork or plasterboard walls. In the set, both wall and ceiling brackets are included. 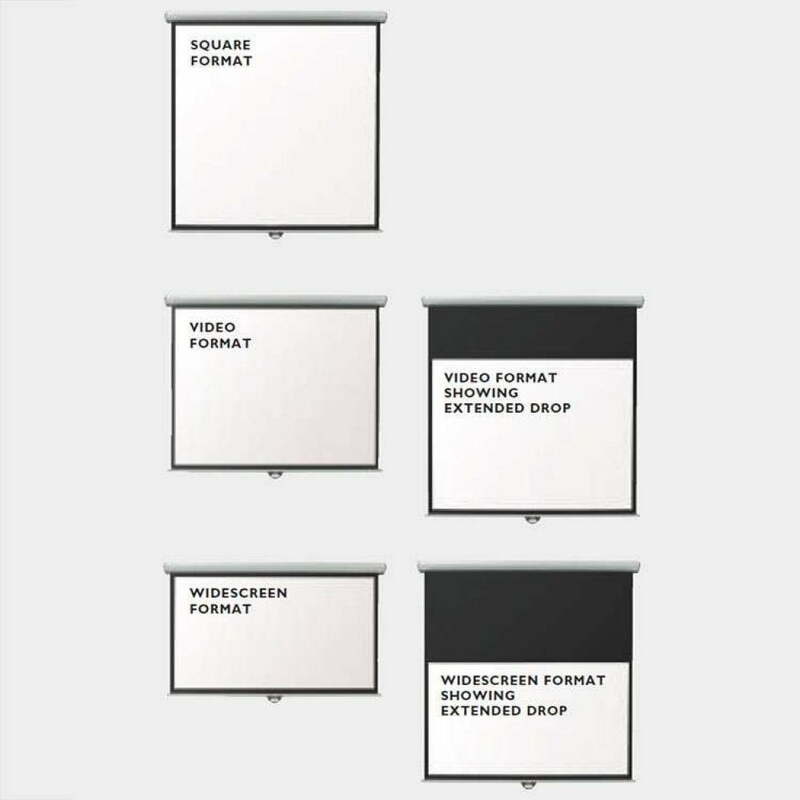 The screen is a white crisp clean matte that features a black border around it. The black border disguises any overlap from the projected image and prevent any messy overlap. Its screen case is in the color white. Great products, Great service and very competitive, Would highly recommend this company to deal with, Thanks Darren and the team. Gerard O Sullivan , Republic of Ireland.